Located right in the Atlantic Ocean, the islands of the Bahamas are in very close proximity to some of the deepest waters in the Caribbean. 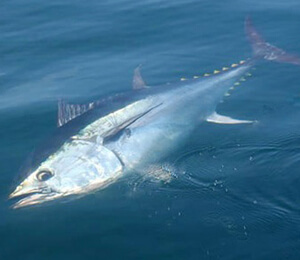 This proximity is ideal for excellent world-class sportfishing. We are not talking about just your run-of-the-mill fishing, we are talking about tournament-style fishing. 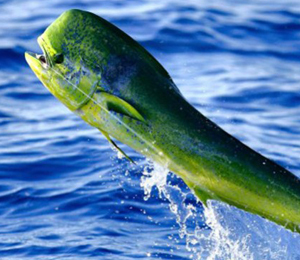 In the deep blue waters just a few miles offshore from the islands of the Bahamas you will have the chance to go after species such as blue marlin, sailfish, swordfish, white marlin, wahoo, mahi mahi, shark, and tuna, just to name a few! 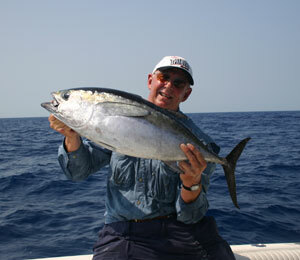 When you think of fishing in the Bahamas, many people think of offshore deep sea fishing. Offshore fishing in the Bahamas is no easy feat - but that is why we work with only the most talented and experienced of Bahamas fishing captains. These guides have decades of experience fishing these deep blue waters, and they have a great track record of successful fishing charters. 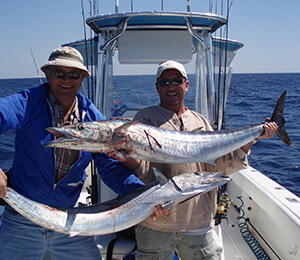 You can be sure that when you book one of our offshore fishing charters, you will be in the hands of one of our expert captains who will take you to the perfect places to make as many catches as possible. We work with every skill level that comes to the Bahamas, so it doesn’t matter if you have never gone fishing before or if fishing is one of your main hobbies. Our captains are trained to offer as much or as little assistance as you require! All fishing gear, tackle, and licenses come included with your charter. If you are looking to go offshore or deep sea fishing during your Bahamas vacation, then you have come to the perfect place! Together with our awesome team of native captains, we will make sure to help you with booking the perfect charter for you and your group. From beginning to end, we want to provide you with the easiest and most enjoyable Bahamas offshore fishing trip! Don’t pass up the chance to land a prized fish in these crystal waters that incase the Bahamas. 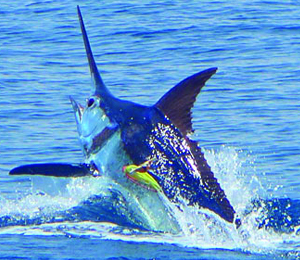 Cast your line and enjoy the fight on your line as the seas are teeming with sportfish. 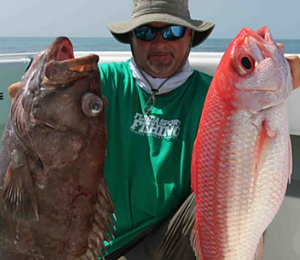 Choose your own experience from our Reef or deep Sea fishing charters. Easily one of our most popular fishing boats, the Strike Zone is the perfect boat for offshore fishing off the coasts of Nassau, Bahamas. If you are looking for those big game catches, this is the boat for you! The Born Free II is a 35-foot Allman Sportfisher that takes up to 6 guests out for a Bahamas offshore fishing trip in the teeming, deep, blue waters of the Atlantic. 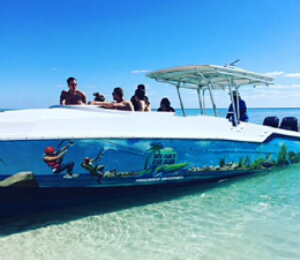 This is one of the smaller boats on our fleet and is excellent for smaller groups looking to experience the world-class fishing offered in Nassau! 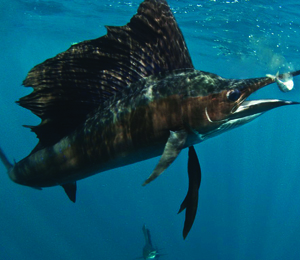 Our guides have decades of experience catching these awesome sport fish. And they are ready to share their techniques and skill with you. The best part of fishing in Freeport is that you don’t even have to go that far off shore to catch some big fish! Captain Kyle is at the top of his game when it comes to sport fishing in Freeport, Grand Bahama! His 30' Pursuit can take up to 4 guests to go after wahoo, tuna, grouper, and dozens more species of fish that live in and migrate through these waters! 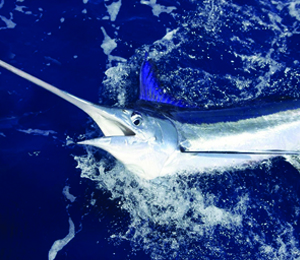 The Hunter is the top of the line when it comes to Bahamas offshore fishing charters. 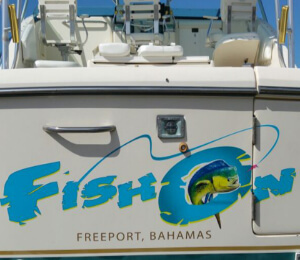 Captain Paul and his crew provide you and up to 6 other guests a world-class fishing experience in Nassau. "Strike Again" our 43' Bertram Sport is prepared to handle any crowd! Our highly experienced Captain and Crew know the ins and outs of all the hottest spots, for every type of fishing. The Born Free IV is one of two of our 48-foot Chris Craft vessels that provides truly memorable Bahamas fishing excursion. With a large indoor salon and plenty of deck space, this charter provides comfort during your fishing charter. 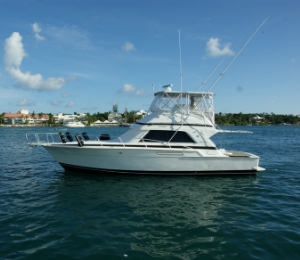 This 48-foot fishing vessel provides guests to the Bahamas island with a spacious and efficient fishing boat. 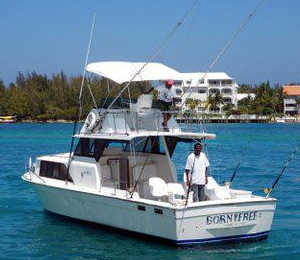 Fishing in the Bahamas is great throughout the year and the Born Free III is ready to be your key to an unforgettable fishing experience!